A light dinner will be provided for the registration fee. The webinar will start promptly at 6pm, preceded by a half hour for socializing, networking, and food. Come early to meet your fellow TriUXPAers and talk shop! As services become more interconnected across channels and devices—and more importantly across time and space—it’s becoming increasingly critical to find ways to gain insight about customers’ interactions with your service. Learn to orchestrate touchpoints and their channels through experience maps. Chris will review an experience mapping framework used to drive the deign of a multi-touchpoint experience. You'll see the activities that feed into the journey so that it tells a tangible story, the key elements that make up a useful and actionable map, and how to then define the characteristics of your mapped touchpoints. Experience maps are intended to be catalysts, not conclusions. We’ll focus on the power and peril of the touchpoint—where customers connect with your product or service, and map the customer journey across touchpoints and channels. Chris is a lead experience designer at Adaptive Path. He started a journeyman career in information architecture and product strategy in 1997. Over the past 14 years has applied a combination of IA, graphic, and interaction design to successful products and services for both large enterprises and start-ups. 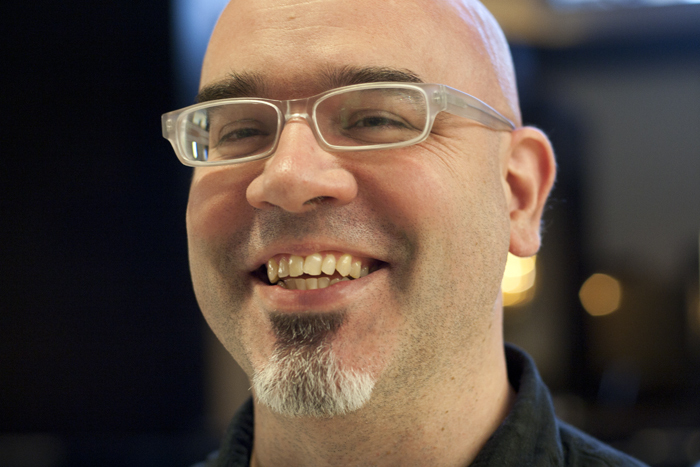 Chris holds an MFA in design from the Savannah College of Art & Design and spends any extra time as an educator, teaching Adaptive Path's UX Intensive workshops and as an adjunct professor at Austin Community College, teaching interface design.